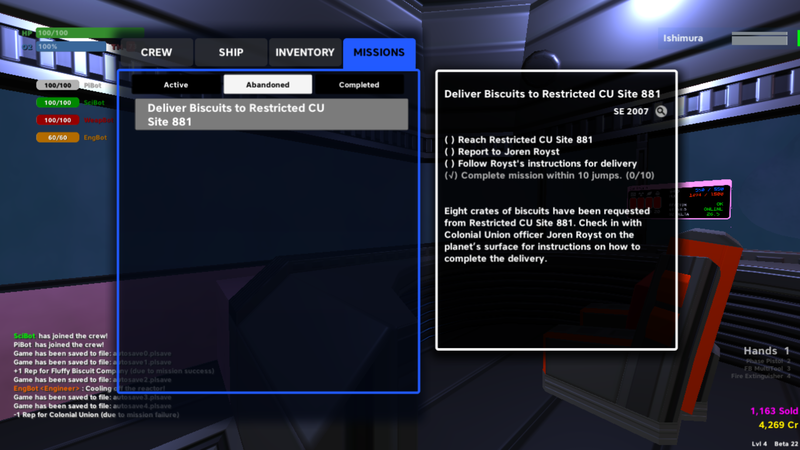 Description of Bug: As soon as you accept the "Deliver Biscuits to Restricted CU Site 881" it informs you that you have failed the mission. Steps to Reproduce: As above. Notes: Bug has been present in previous builds and reported by numerous users.